Oppo Electronics, a company based in China, is going to enter the Bangladeshi market. Founded in 2004, the company is well known in the tech world for being one of the pioneers in the smartphone industry. Oppo set itself apart by being the first to a number of respectable accolades such as releasing the first 1080p smartphone (the Find 5), the first 2K smartphone ( Find 7) and also the thinnest smartphone at the time of its release ( the Finder). Oppo is a very popular company, especially in emerging smartphone markets. However, it manufactures not only smartphones but also other electronic devices such as MP3 players, portable Media players, LCD-TVs, eBooks and DVD/Blu-ray Disc players. With the launch of the brand in Bangladesh, we expect to see the smartphone scene become much more competitive than before. The company’s flagship smartphone, the Find 7, is an absolute beast with a 2K display, 3GB RAM, Snapdragon 801 clocked at 2.5GHz and a 13 megapixel camera capable of taking shots of 50 megapixels with the aid of a special shooting mode. The flagship is not just a spec bucket, rather it incorporates attractive and sophisticated design elements with the internals to provide an excellent Android device. 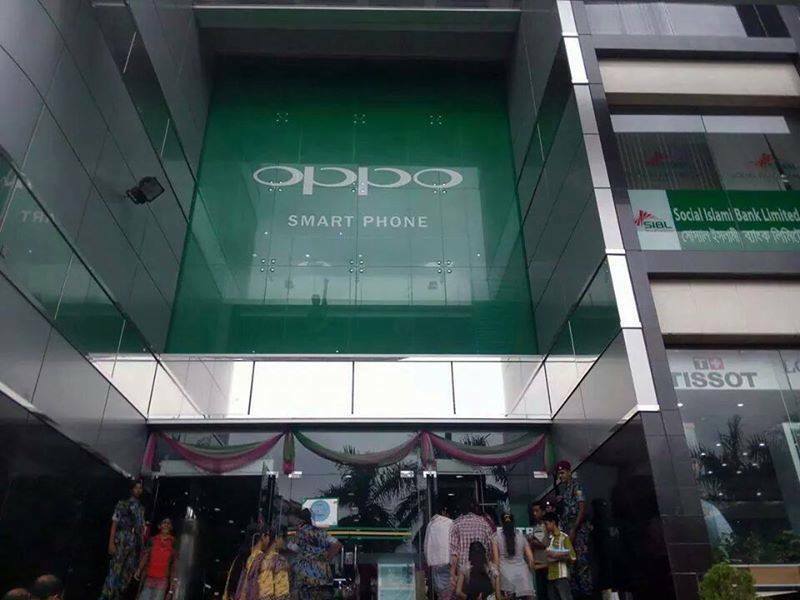 Oppo has already set up banners and advertising material at the Bashundhara City Complex and looks primed to get an upper hand in the smartphone game by bringing popular devices such as the Find 7 and N1 among others. Local pricing for the handsets are yet to be announced but should not be too far off from the retail price in most major markets.